Nimitz is a super carrier and among the largest of the warships in the world. Commissioned in 1975, she is a nuclear-powered multi-mission aircraft carrier. Though she began her service in Virginia, she was transferred to San Diego in 2001. 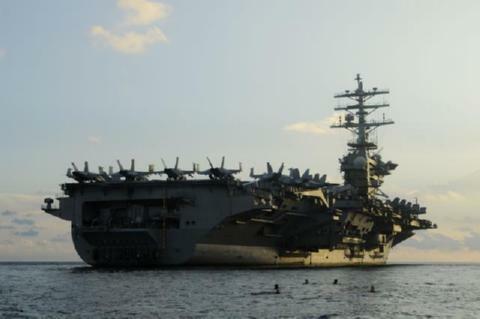 A part of Carrier Strike Group 11, Nimitz is the flagship of the group. Nimitz plays a role in popular culture. A 2005 PBS documentary called Carrier profiled the daily life of Navy personnel abroad the ship. She was also featured in the film The Final Countdown and in the Tom Clancy novel Red Storm Rising. AUG 1981 - AUG 1981 VF-41 ATTACKED BY LIBYAN AIR FORCE..